Tie Guan Yin is a sweet and floral Chinese oolong tea that reminds you of wonderful orchids from the moment you first smell it. This delicate oolong tea comes from a single county in the Fujian province in China. What makes this oolong tea so special? Delicate and smooth, this oolong tea combines a flowery fragrance with a natural sweetness that is unique to this type of tea. As with all great quality oolong teas, this is a tea that may be reinfused several times. Beautiful legends surround the origin of this Chinese tea. Enjoyed by emperors in the beginning it may be enjoyed by you today. the Iron Goddess of Mercy tea! What is Tie Guan Yin? Tie Guan Yin is a semi-oxidized tea, closer to green tea (not oxidized) than to black (fully oxidized), as it is only 20-25% oxidized. 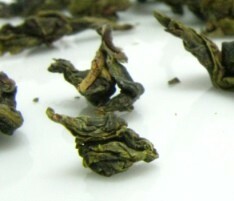 Tea Leaves are large and fully grown, dark green with slightly yellow boarders. They are rolled into large jade-green pearls or granules with small chestnut brown stems and smell of lovely flowery orchids. This tea comes from the county of Anxi in the Fujian Province, China, and there the mountainous terrain provides the perfect mixture of high altitude, moisture and rich soil to grow this tea. Although this tea dates back to the 19th century, during the Qing dynasty, today the Anxi region still produces this tea. Tie Guan Yin is Chinese for Iron Goddess of Mercy, Iron Buddha or Tea of the Iron Bodhisattva. You may find it spelled differently such as Ti Kuan Yin or Ti Kwan Yin. There are two legends that explain how this tea got its curious name. Long ago in the Anxi County there was an abandoned temple. Inside it there was an iron statue of the Guanyin, the Goddess of Mercy. On his daily walk to his fields, Wei, a humble farmer, passed by the temple and feeling sorry for its poor state began clearing away as best he could and lighting incense to the goddess even though he did not have the means to repair the temple to its former glory. One time, the Goddess of Mercy appeared in Wei’s dream and told him about a cave behind the temple where a treasure was hidden. The next day, the farmer went into the cave and found a tea shoot which he planted and nurtured. From this shoot the finest tea was produced and so the farmer named it Tie Guan Yin and shared cuttings with the other tea farmers. Prospering from this wonderful tea, Wei was finally able to justly repair the temple. The second legend tells the story of Wang, a scholar who discovered this tea by accident under the Guanyin rock. He began cultivating it at home and one day decided to offer it to the Qianlong Emperor (1711-1799) as a gift from his home country. This tea so impressed the Emperor wanted to know more about it and where it came from. So it was decided to name the tea for the place where it was discovered: Guanyin tea. Harvesting – true Tie Guan Yin leaves are harvested in the Anxi county and may be picked during at various times of the year. Sun withering - leaves are spread out and laid out in the sun to soften cell walls of the leaves and release moisture. Leaves are then set to cool off. Tossing – cell structure of the leaves are broken down when tossed. This improves oxidation and balances flavor of the tea. 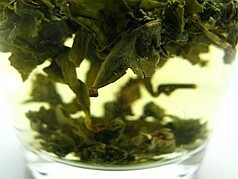 Withering (light oxidation) – again cell structure is broken to achieve the floral flavor and aroma. Fixation - leaves are steamed and hand-pressed in a hot pan to stop oxidation. Rolling – this is done either by hand or machine to achieve the perfect tiny balls that are typical of this tea. Drying – stops oxidation, preventing mold, sun drying or hot air is used. Roasting – this tea may or may not be roasted and then to various degrees resulting in different final flavors, developing a unique smoky flavor. With so many steps to achieve this oolong tea, there is a large margin for variability, from roasting level, oxidation level to harvesting time and even to location. Let’s look at the main subtypes of this tea. 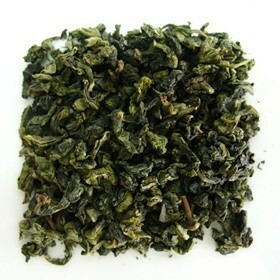 Jade Tie Guan Yin is a lightly roasted or baked tea, with a light green jade color. Aroma and taste are flowery making it closer to a green tea. The original variety of this tea is the Heavily Roasted Tie Guan Yin. It is warm, complex, yet less flowery in essence. This variety uses traditional baking techniques to achieve the final product. 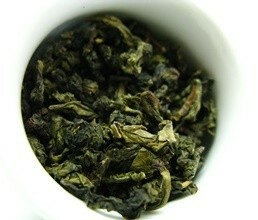 Moderately Roasted Tie Guan Yin combines the floral aroma and the exquisite taste from the previous ones. The perfect combination of the old and the new. Spring Harvest is a premium grade light green flowery tea, very popular among the Chinese tea lovers, plucked in the months of April and May. Considered the best of all harvests. Summer Harvest is a lower quality tea. It may also be divided into two subtypes – one plucked in June to July and another in August. Autumn Harvest offers you a delicate and strong fragrance. Finally you can try the Winter Harvest, but it is quite rare as the cold season allows for very low production. Anxi county (China) – these oolong teas undergo little oxidation and so are closer to green tea in characteristics and flavor. Taiwan – although not the original tea, the name is given to any kind of teas leaves using the same finishing method of roasting. Now let’s take a look at what benefits this tea has to offer. This Chinese oolong tea is high in amino acids, polyphenols and antioxidants. It contains vitamins, particularly vitamin C, and other components such as calcium, fluorine, iron, magnesium, manganese, phosphorus, potassium and zinc. This Chinese oolong tea may certainly benefit you on a daily basis. Drinking a daily cup of tea may help improve your sluggish digestion. Stomach aches and acid reflux may be soothed by a good cup of tea after your meal. Antioxidants and caffeine in tea help to boost your metabolism so that your stomach is able to break up food faster helping it to move faster along your digestive track relieving your pain. A good digestion serves you in two ways: soothing digestive problems and promoting weight loss. A faster metabolism helps your body to break fats and remove unwanted wanted wastes from your body. For better results you should eat healthier food and reduce sugar intake, so it is great that Tie Guan Yin is naturally sweet. You don’t need any sweeteners in your daily cup of tea. Weight loss is the combined effort of a healthy diet and exercise. And the caffeine in this oolong tea may help your feel energized and build momentum as you exercise. Polyphenols and antioxidants in this oolong tea may play an important role in helping to improve your heart health. A daily cup of unsweetened tea may help reduce levels of bad (LDL) cholesterol and hardening of the arteries. This may prevent the formation of blood clots that cause heart attacks and strokes. In case of previous heart conditions, you should see your doctor before drinking this tea as it does contains some caffeine. This Chinese oolong tea is rich in antioxidants and these may provide great support to your immune system and help build up your defenses against bacteria, viruses and environmental stress. A healthy immune system may help prevent diseases caused by bacterial infections and may aid your body in removing toxins may that speed up aging and cause tumors. Having a cup of Tie Guan Yin may help clear up fungal infections as well as skin disease, so why not give it a try? Being rich in calcium, this Chinese oolong tea is said to help to buildup bone density and thus preventing osteoporosis, a disease that causes bones to weaken and break more easily. Teeth may also benefit from this tea as calcium may help strengthen teeth. At the same time, drinking unsweetened tea may help kill off bacteria that cause gum disease and bad breath. If you wish to learn more about the health benefits common to all oolong teas, go to the oolong tea benefits page. Go ahead and try this oolong tea now! This tea contains a moderate level of caffeine. As it is essentially made up of fully grown leaves, it contains less caffeine than teas that include buds and young shoots. It is in the extremities of the tea bush – buds and top young leaves - that the plant stores most of the caffeine. This component acts as a defense mechanism against pests and insects. Over-sensitivity to caffeine may cause headaches, irritability, trouble sleeping, anxiety and even digestive issues. If you experience these symptoms, cut down on your tea or choose a less caffeinated or herbal tea with no caffeine at all. During pregnancy or breastfeeding caffeinated teas should only be taken with clearance from your doctor. Too much caffeine may cause harm to your fetus or nursing infant. Talk to your doctor about alternatives at this stage. This is a flavorful Chinese oolong tea and it is quite easy to make. So let’s learn how to brew Tie Guan Yin (western style) and enjoy a great cup of tea. 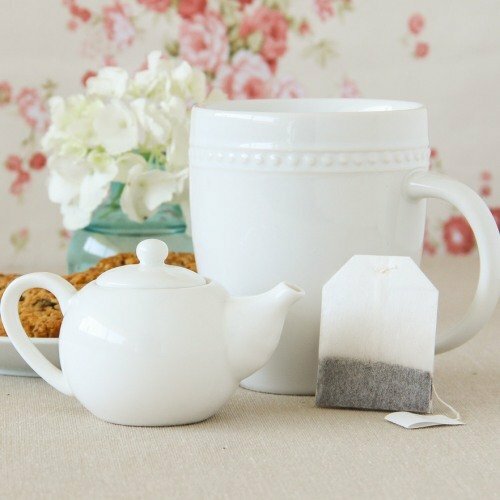 When brewing this tea in the western style, choose a porcelain teapot paired with white cups. If you are brewing your tea in the Chinese gongfu cha way, then choose a small yixing clay teapot. Preheat your teapot and cups using hot water that is discarded before preparing the tea. This will keep you beverage from cooling down too quickly. Place 2 to 3 teaspoons of tea leaves per cup of water (250ml) inside your teapot. If you wish to drink a stronger tea, you may increase the amount of tea per cup. Heat water to nearly boiling point (95ºC - 100ºC or 203ºF – 212ºF). If the water does boil, then let it sit or a few moments to cool down a bit. It’s important to use good quality water, preferably bottled water instead of tap water. If only tap water is available, make sure to filter it. Bad water will ruin the flavor of any good tea. Once you pour the water over the leaves, make sure to use a timer to control steeping time. Tie Guan Yin requires only about 2 to 5 minutes steeping. The longer you steep the stronger the tea. 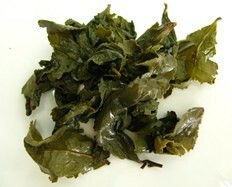 This Chinese oolong tea may be reinfused sometimes as many as 7 times. Every time you reinfuse the tea, make sure to increase steeping time about 30 seconds. Your brewed Tie Guan Yin tea has a bright yellow color with green tones and has a nice floral aroma, resembling orchids and hyacinths. Make sure to empty out your teapot into the tea cups, this will stop the steeping process and allow you to reinfuse the tea. Take a sip and taste the flowery delicacy of this tea. It has a smooth and velvety flavor that lasts in the mouth. 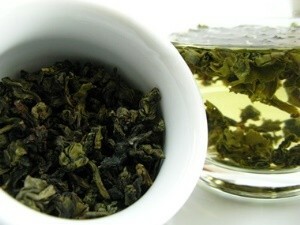 This oolong tea is sweet with a slight bitterness and gentle astringency. The Chinese way of brewing Tie Guan Yin seems more suited for those wishing to reinfuse the tea leaves many times. Let’s take a look at this method. Choose a small yixing or purple clay teapot and small enameled cups. Rinse both cups and teapot with hot water. Place 5 to 7 teaspoons of Tie Guan Yin tea in the teapot, this should be about 1/4 to 1/3 of the teapot. Pour hot water into the teapot and quickly swirl and toss out the water. This process should not last more than 5 to 10 seconds and serves to rinse way any dirt from the tea leaves. Pour boiling water (100ºC or 212ºF) into the teapot and let the tea steep for 20 to 30 seconds. Empty out the teapot so that the infusion halts completely and enjoy your tea. You may reinfuse a good Tie Guan Yin 5 to 7 times or until the flavor begins to fade. With each additional reinfusion add 10 to 15 seconds to the steeping time. Buy your Tie Guan Yin Today! Click on the image or on the link below to purchase from Art of Tea your Iron Goddess of Mercy – Ti Kuan Yin tea. 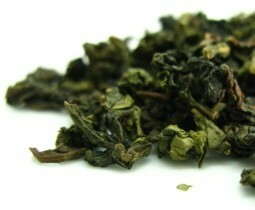 This Chinese oolong tea has a smooth body full of freshness and a gentle sweetness. With a moderate level of caffeine, this is a tea that may be enjoyed at any time of the day. 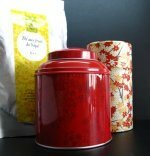 It is perfect for anyone who loves a good oolong tea. 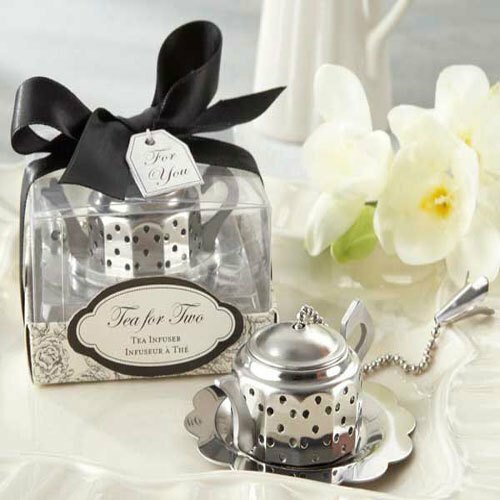 This is a great floral tea and it is a sure win with any tea lover. Its amazing smoothness and natural sweetness will have you going back for a cup time and time again. Taste the sweetness of Tie Guan Yin!